Click the button below to add the Buy Pashtun Ladies Blue Dress Traditional Muslim Fashion Long Clothes Apparels Maxi to your wish list. Afghani dress in blue color is here for sales in retail and wholesale. 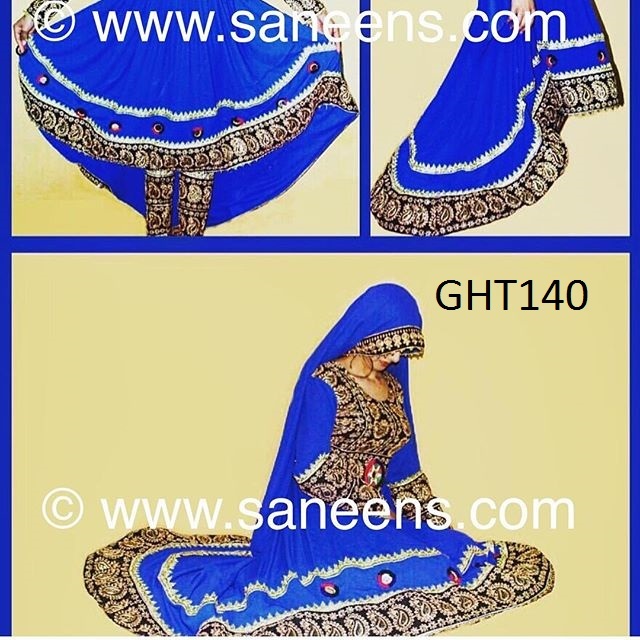 Traditionally such dresses are supposed best for wedding, Nikah, Mehndi night events. Many women like to use it on special events parties. This costumes is made of finest quality fabric, embroidered straps and large mirror medallions. Please choose an appropriate size which best fit on your body from the size chart given below. You can also send us your accurate measurements on support@saneens.com The measurements should contain shirt length. We will tailor dress according to the given measurements for free.